The state of the shipping address must match the state of the billing address. We cannot bill to one state and ship to another state. Discounts do not apply to the following items and product families: ALL products from Texas Instruments®, Sharp®, Casio®, Vernier®, CalcPAL®, littleBits, Cubelets, Ozobots, Sphero, Makey Makey, SAM Labs, 5eBoard, Wonder Workshop, TeacherGeek, Bloxels, MyChron Timers, Edison Educational, Brown Dog Gadgets, furniture, carpets, drop-shipped items, and select storage containers. Discounts cannot be combined with any other coupons, sales, offers, contracts, bids, or quote pricing. Valid on UPS Ground and USPS orders shipped within the contiguous 48 states. This offer excludes ALL products from Texas Instruments®, Casio®, Sharp®, Vernier®, CalcPAL®, drop-shipped items, select storage products, furniture, and carpets. These items are not eligible for free shipping. Standard Delivery rates will apply to all excluded items. May not be combined with any other coupons, sales, offers, contracts, bids, or quote pricing. Not valid on prior purchases. Orders under $75.00 will be charged $15.00 S&H. Orders $75.01 and over will have 20% of order total for S&H added to the invoice. Actual shipping charges may apply if they exceed 20%. HI, AK, PR, APO and FPO will be shipped via U.S. Mail and may take up to 4 weeks for delivery. If you require your order sooner, please call 1-800-770-8010 for express delivery. 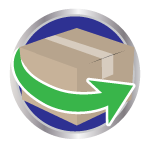 Express Delivery: For UPS Next Day Air or Second Day Air Service please call 1-800-770-8010 for shipping rates.